No matter what your facility is – a quick service restaurant, a pizzeria, a convenience store, etc. – a goal of yours is to save time and money. You’ve tried every trick in the book: cutting down on delivery costs, pay cuts, wearing yourself thin by working more yourself, BOGO sales. Instead, why not just switch to a product that is affordable, easy to use and tastes homemade? You’re required to push out large amounts of food in short periods of time. Saving time AND money may seem impossible. Pleasing your current customers AND attracting new customers may seem impossible – but it’s not. Creating various menu items that are easy to make AND taste good can be done, easily. We’ll start with the money-saving aspect. How frozen dough balls save you money. Are you currently able to offer different dough ball varieties, such as traditional, herb, whole wheat, multigrain, gluten free and organic? Today’s consumer demands a variety of distinct selections. The ability to order from the single source saves you time. Time is money. Continuing with versatility, how many pizzerias or other venues offer just one type of pizza? Not many! Again, you have to cater to as many of your customers as possible. Frozen dough balls can be created into numerous menu items, including pizza, calzones, stromboli, fried dough and more. How frozen dough balls save you space. Additionally, if you currently make your own dough, you no longer need space to store the mixer and prep equipment as well as the ingredients! Dedicate more floor space towards selling, not prepping. 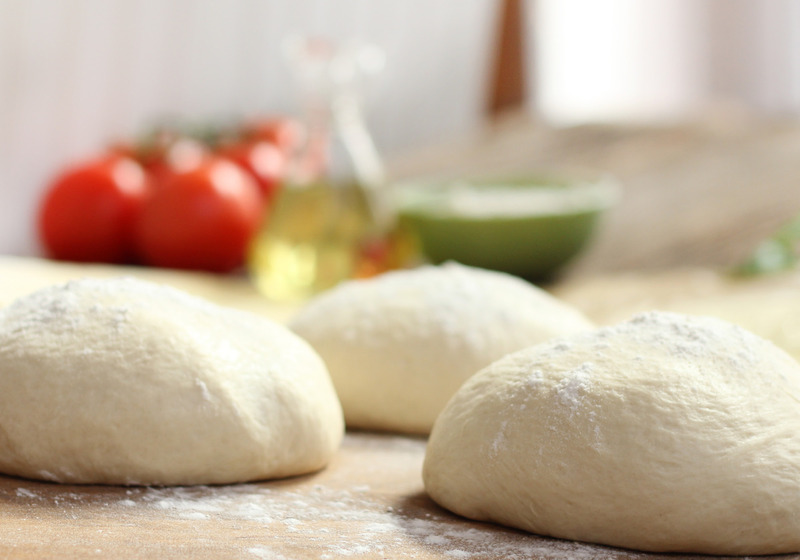 How can frozen dough balls save time in your facility? Their consistency! Remember the 3 C’s of the pizza business? Consistency is one of them. Your customers expect a quality product every time they walk through your door. Just one bad experience can lose a customer for life. Frozen pizza dough balls are easy to use. This is important because of high employee turnover levels at convenience stores, pizzerias, restaurants and beyond. The key is to provide regular interval preparation and handling training for all employees – from the high schooler starting his/her first day to the manager who’s been there for 10 years. Once all employees are familiar with each menu item, less time will be spent on preparation, remaking food, disposing unwanted food and more. In short, a consistent, space saving, easy-to-use product will allow you to lend more time to what matters: satisfying your customers! Speaking of overhead (perhaps the most dreaded word in our industry), frozen dough balls can cut down on the time it takes to order your products. Did you know that our extended life dough ball series can stay fresh in a freezer for 120 days? Now think about how much time that will save. Time and money. Two things that every facility manager, owner and operator love to save on. It’s time to switch to wholesale pizza dough balls. Everyone benefits; you make more money and cut down on overhead time. Your employees’ daily tasks become easier with a more consistent product. Your customers will enjoy consistently awesome food at affordable prices. So what are you waiting for? Start your journey to savings now!